Will Blockchain Tech Restitch Human Data Tapestries? It’s less of a secret now that our data is commonly swiped by multinational giants in order to improve their progressive wallop- and it’s often at our expense. This infuriating loophole means that we’re often subject to a whole host of privacy breeches that the average person simply doesn’t know how to avoid. And this, friends, is where and why it’s time to welcome Blockchain Technology in with open arms and hearts. But exactly what is data ‘sharing’? By general definition, the term ‘sharing’ suggests an exchange between two willing partners- so why is it still data sharing when you have little to no idea that the intention to use your data is taking place…right now? 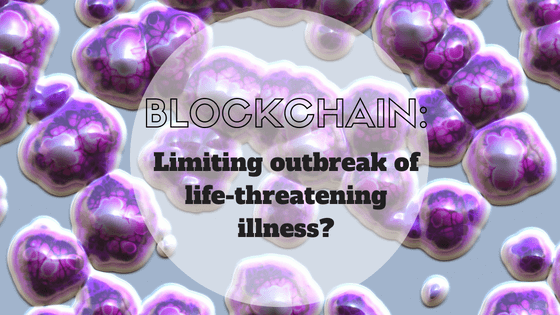 Every day, a staggering amount of data is stolen from unknowing people- across areas of personal behaviours, media preferences, healthcare and more… and it’s in the sphere of healthcare that right now, blockchain technology holds the capacity to redefine the terms of sharing. Because, sharing should always be a mutual experience, right? For so long, individuals have been at a loss for how to hit back at unsolicited and unauthorised data sharing. Very often, fine print within contracts states that you’ve signed an agreement allowing big companies to use your data. You signed it, you sold it, basically. Fear not, however, consumer. For it’s Blockchain tech that might just hold the key to taking power out of the hands of multinationals wielding it against you- and right back into your hands where it belongs. It’s a significant task, but that’s not stopping anyone. Take, for example Humanity.co the global consent ledger designed to allow consumers control how their data is shared. It’s a project based on total consumer consent, and it operates with two major goals in sight: Firstly, by giving the consumer the option to identify legal ownership and title of their data via an app, along with consent to sharing it, or complete denial of data sharing. Secondly, by giving brokers more definition around what they can and can’t take, the opportunity of immunity against charges laid for data smuggling. We know that technological advances are essential to growth and development, but that doesn’t mean it should come at the expense of our privacy. We can’t wait to find out more about how Humanity.co takes off in response to critical data theft issues. Looking for expert advice and support around your Blockchain based project? We can help. Reach out to the team at Blockchain Australia for more advice today.